A fund that sends families who have been through hardship on a trip of a lifetime. Several years ago, Feldman Shepherd partner Dan Weinstock took on the birth injury case of a child named Tony Huffman. Tony always wanted to go to Disneyland but, unfortunately, died before he had a chance to make it. In honor of their child, and as part of the legal settlement, the defendant’s insurance company was required to make a yearly contribution to the fund Weinstock established. Mary O’Donnell-Green, one of our paralegals, became the fund’s co-administrator and together, Weinstock and O’Donnell-Green began reaching out to the Children’s Hospital of Philadelphia (CHOP), United Cerebral Palsy, St. Christopher’s Hospital for Children, and tri-area social workers for participation and candidates. 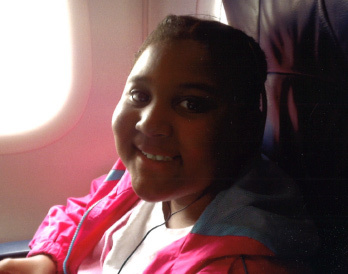 Fast forward eight years and the Huffman Fund has sent 19 families like Alisha’s to Disney. The fund also sponsored athletic programs for children with disabilities, paid for treatments, strollers, wheelchairs, and more. In addition to the trips, the Fund provides food, hotel rooms, transportation, park admission, spending money, supportive devices inside the park, insurance, and arrangements for nurses to accompany any children who require constant care.